Jon Ladd from Terminus Tees and Store Frontier in Georgia has grown a hobby into a multi-million dollar business. That's the dream, right? So how did he do it? What could you learn from him? 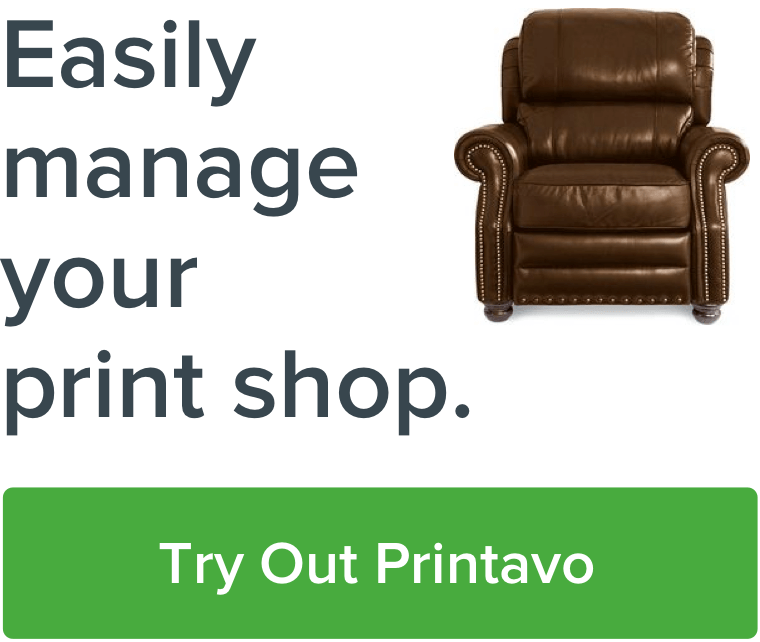 Bruce Ackerman from Printavo interviewed Jon in this actionable hour-long discussion about what it takes to market and grow a custom T-shirt printing business. We've digested this video into bite-sized pieces for your consumption. It's a really important discussion with tons of information. The big takeaway? Don't overlook the delightful art & science of marketing your business! Jon's band is where it all started: they needed shirts and he got interested in the business. Instead of re-inventing the wheel when he didn't know what to do, he took his experiences with Pepsi's guerilla marketing campaigns and translated it to his own business. He loved talking with people and making connections. That's remained at the core of his strategy. Getting into the crowd: concerts, grand openings, events. Anything where people gather! When Jon noticed that people really love free T-shirts, he started pushing them hard. Even a small town in the middle of nowhere can be a huge opportunity for building your brand: people walking around with your logo on their shirt is a free ad, and you're not trying to sell them anything in the moment. From $600k in the first year to $6 million, Terminus has grown because of its unique marketing efforts. By looking for opportunities unique to his local culture, Jon found a lucrative base for his business. If you're not talking to your customers, someone else is. Lean on the relationships. Understand where someone is at, what they're trying to achieve and listen to them. Learn the channels they're using and leverage your relationships to speak directly to your customers. Every format you communicate through changes, often to the point where it gets saturated. In the early 90s, you could send emails and people would actually read them. There wasn't as much spam. We moved to MySpace, then Facebook. These formats always change. What doesn't change is once you have connected with somebody, you're able to communicate with them and hang out with them. It all goes back to relationships. Don't sell what you do. Listen to them. Focus on their story. Find common ground to make a human connection. Focus on the human story about why the client's shirts exist. There's a community behind the shirts. Jon gives major venues in Atlanta wristbands – free advertising for Terminus. Even a small association like this can build your brand's image. I've been to too many trade shows where you walk by and someone has 10,000 white large shirts. You walk by and they're just throwing them out...first of all, what if they gave out 1/10th of their shirts...but what if there was a conversation with every shirt? That's way more profitable in the long run than just shoving shirts out there. Spend 5% talking about what you're doing in your shop. Spend the other 95% talking about what your customer is doing! By creating positive confusion (Why are these T-shirt dudes at this show?) and positive associations (Man, I love that band and I love this shirt I got there too!) your brand starts to be associated with a great time. With guerilla marketing, you get down to the level of a personal 1-on-1 conversation. That jolt – oh! this is actually awesome! – is how it all works. All you need? An iPhone and a gimbal. Look for VideoLeap and Filmic Pro to edit & improve your videos. Copy what your favorite YouTubers do. You don't have to reinvent the wheel. There was even a full-length movie by Steven Soderberg that only used an iPhone! Ultimately, Jon says that what you say is what you are. Your equipment? Not so important. Talk about real solutions and shed light on real problems. For example, make a video series about fast turnaround & why that's important to your customers – don't just tell people you can get jobs done quickly. Show why it's important. As a customer, you can always get it done cheaper somewhere else. It makes you feel bad to devalue your work. It is also bad for your business! Jon's tip? Don't give discounts. Give extra shirts instead. Distributing content you create isn't easy: interruption doesn't work anymore. It's just annoying. So you have to captivate your audience. People really hate YouTube ads that keep them from what they want to watch – don't let your brand be in the way. How do you do this? Leverage the algorithm. There are incredible advertising tools you can afford! As of 2018, you can buy ads for the cheapest price per click on Facebook. You have to play the long game, though – just doing it once or twice isn't going to be enough. A lot of people don't want to pay Facebook. But trust me, just pay them. Facebook has the information you want. Otherwise, you're going to spend so much more time and money trying to do it yourself. You need inspiration to be successful at marketing & sales. Look up marketing agencies and copy what they do and say: check out companies like DisruptivAgency and how they brand themselves and their services. Don't overlook the classics when you're getting yourself motivated. Check out the real-deal motivators & self-improvers like Tony Robbins and Gary Vee. Want to go even deeper? Understand psychology: check out Carl Jung & other philosophically-minded psychologists to gain insight into exactly how people work. You can stop looking for "secret sauce," the perfect software, that ideal formula for advertising. It doesn't exist. Maybe you'll sell how good you are and find the Magic Recipe that way. After all, you've got the best presses, the highest quality inks and the fanciest shirts. The obnoxious truth about our industry is this: to most people, it's just a shirt. Maybe it's a softer shirt. But that's about it. There's tremendous room for unique branding and special messaging in our industry. But being "the best" isn't going to cut it! Work with who you like. Work with who you resonate with. Who you connect with. That's more fun. Jon talks more to the people he has fun with – just like everyone else. Find a way to wake up every morning and "be paid to play." Deciding the culture of your business is how you find your niche and develop your message. Write ten different emails. You've got ten different clientele! Ideally, a CRM can personalize things. Don't send mass emails without personalization. Even if you have to do it manually, it's still worth communicating to people as directly as possible with as personal of a message as you can. We love our partner shops. A lot. We're constantly learning from the incredible men & women behind the brands. If you've got insights into how you've grown your business and marketed your shop, let us know – we want to talk to you! Maybe we'll feature you on our podcast.